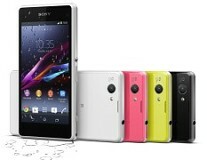 Sony has just announced the Xperia Z1 Compact at CES 2014. Unlike most mini flagship variants, it features a specs sheet that doesn't compromise, and has almost identical specs to the Xperia Z1 flagship. The only thing that didn't make the cut is the display resolution, which has been cut down to 720p, and the battery, which has been reduced to 2300 mAh - the same as on the previous Xperia Z flagship. Luckily those seem to balance out just fine and the Xperia Z1 compact promises pretty good battery life. 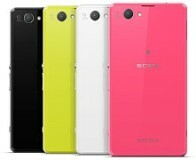 The Sony Xperia Z1 Compact is expected to hit markets next month. Its pricing wasn't specified, but Sony confirmed it will slide between the Sony Xperia Z1 flagship and its Xperia Z predecessor. For more, be sure to check out our extensive first look at the Xperia Z1 Compact. If battery life will be ok, I will buy definitely buy it!!! Yeah as everyone's words I too love like a small phone vin almost all d best available hardware, software and all acc to me Z1 compact really stands out in this scenario and it really caught my eye.